The 2016 Silver Eagle is the 30th anniversary coin issued in the popular American Silver Eagle bullion program which started in 1986 by the US Mint. It is also the 100th anniversary of Adolph A. Weinman's classic Walking Liberty design which dates back to 1916. 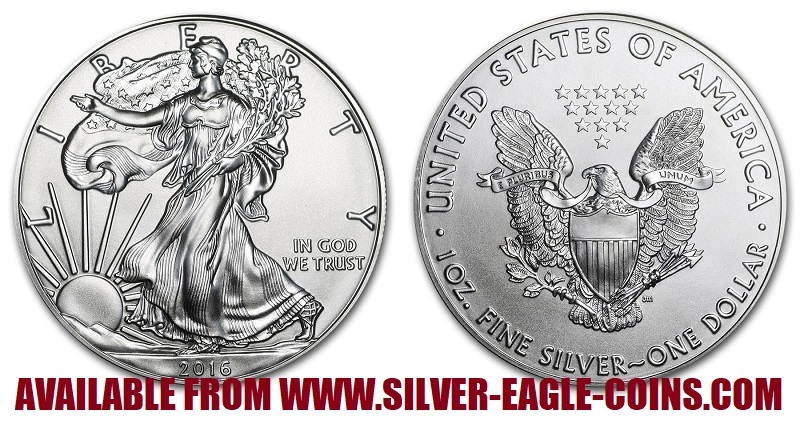 These gorgeous silver eagle coins are minted at West Point and contain one ounce of 0.999 pure silver. These are legal tender silver dollar coins authorized by the United States government. Makes an excellent (and affordable) gift! 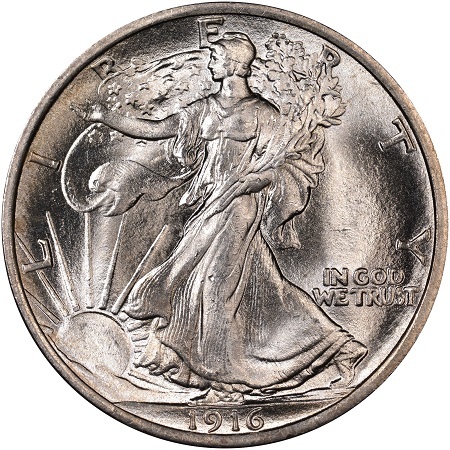 The obverse design features Adolph A. Weinman's stunning Walking Liberty design, with an ever hopeful Liberty striding confidently toward the sunrise, draped in the strength of the Stars and Stripes carrying in her arms branches of laurel and oak to symbolize both civil and military glory. 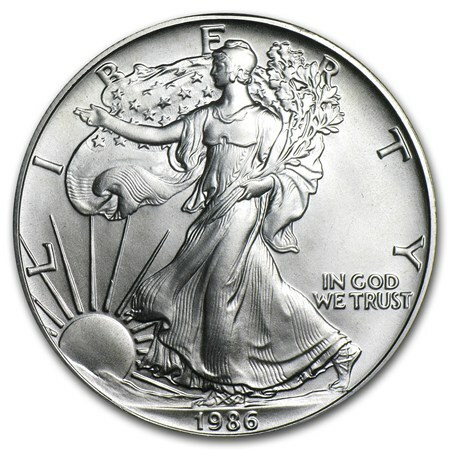 The reverse design, by United States Mint sculptor John Mercanti, features a striking heraldic eagle with shield, and olive branch in the right talon and arrows in the left. These coins are the "regular bullion issue" and do not carry a "W" mintmark like the special burnished uncirculated issues or the special proof (mirror finish) issues. There is no mintmark on "regular issue" uncirculated silver eagles since the government produces these coins mainly as silver bullion for investors rather than coin collectors. However, the fact that the coin is one of the most beautiful coins ever minted has elevated it's status from a bullion coin to a highly sought after collectible. Copyright © 2000-2016, Silver Eagle Coin Company. All rights reserved.